There is a new book out by Georgetown professor Susan Martin entitled A Nation of Immigrants. That title is a no-brainer for a book such as this, though we’ve thrown that noble phrase around for so long that we’ve lost track of where it actually originated. Fittingly, as The New York Times reminded us this week, it was that most famous Irish American, John F. Kennedy, who also wrote a book entitled A Nation of Immigrants back in 1958. Of course, that book was released at a time of historically low immigration to the U.S.
Martin’s new book reminds us that immigration has always been a vexing question for Americans, and that includes 18th century Americans who lived in this country when it was practically still a teenager. In recent weeks -- especially with the killing of Osama bin Laden -- the debate over immigration has waned somewhat. But with the election of 2012 looming -- Newt Gingrich planned to announce this week that he would be entering the race -- you can bet the debate over immigration is going to rise back to the top of the agenda. And just as likely, you can bet it’s going to be nasty. For proof of that, we can take a closer look at two prominent Irish Americans who are speaking out against a controversial federal program which, critics say, unfairly targets undocumented immigrants. 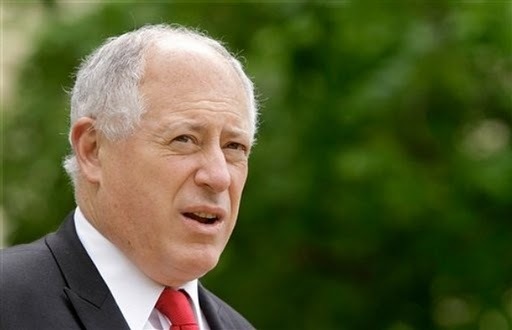 Just last week, Illinois Governor Pat Quinn came out and said he was planning to sever his state’s ties to what was believed to be a voluntary partnership with the federal Immigration and Customs Enforcement (ICE), which is overseen by the Department of Homeland Security. Known as Secure Communities, the ICE-run program was designed to target undocumented immigrants who are also known to be dangerous criminals. Who could be against that? Especially in this age of terrorism? And especially now that we know Osama’s followers are likely to seek revenge for his death? So why would Quinn opt out of Secure Communities? Well, first of all, this was supposed to be an optional program. State governors signed a Memorandum of Agreement with the understanding that their states could opt out of the program. ICE officials, however, are now beginning to claim that the Secure Communities program is, in fact, mandatory. Furthermore, it turns out that while ICE claims the program targets only hardened criminals, the reality is very different. Quinn and many others are claiming a high percentage -- as many as four in five -- of immigrants targeted under Secure Communities have no criminal record or were picked up on minor offenses. This has led to charges that Secure Communities is leading to the indiscriminate deportation of immigrants. Of course, there is the old argument -- what part of illegal do you not understand? Some people note the presence of an undocumented immigrant on U.S. soil is a crime in and of itself, so they should be deported either way. But there are practical and historical reasons for worrying about a program such as Secure Communities. It goes without saying that we should do everything we can to get terrorists or criminals out of the country. More importantly, we need to do our best to keep them from getting in in the first place. But let’s also not pretend that all past immigration -- including many Irish parents, grandparents and great-grandparents -- was legal and neat. Furthermore, law enforcement officials such as New York Police Commissioner Ray Kelly have voiced concerns over programs such as Secure Communities, and not just because of his own immigrant roots. Police officials worry that driving immigrants into the shadows will make them much less likely to report crimes or act as witnesses. In this sense, the program does not deter crime at all. The next thing to keep your eye on is what New York Governor Andrew Cuomo will do about the state’s participation in Secure Communities. Staff members said he is reviewing the details. In the long run, one thing is for sure -- you can bet this is going to be more ugly than pretty when the 2012 presidential race heats up.